Under this scheme 40 students (Ten students from each class) will be awarded a scholarship amount of Rs 6000/- during the Academic Year 2018-2019. Students studying in class VI to IX of a recognized school within India, who scored 60% of marks or equivalent grade/grade point in the recent final examination (5% relaxation to SC/ST) and having his own Philatelic Deposit Account in any of the Philately Bureau in Kerala Postal Circle are eligible to participate. The competition will be conducted in two stages, with stage 1 being a written quiz and stage II being a Philately project. The stage I Philatelic written quiz will be a multiple choice question format (MCQ) format consisting of 50 questions from current affairs, History, Science, Sports, Culture, Geography and Philately(local and National). 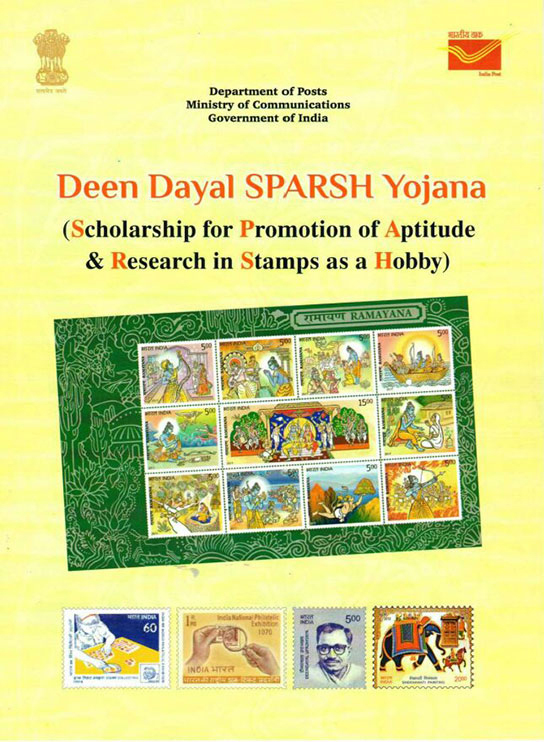 The selected students in stage I quiz will have to submit a philately project on a given theme, which should be limited to a maximum of 500 words, contained in 4 to 5 pages. The display of stamps (real or images) should be limited to a maximum of 16(sixteen) only. Projects once submitted to the Department will be the sole property of the Department. The projects will be directly submitted to The Chief Postmaster General, Kerala Circle, Thiruvananthapuram-695033 by Speed Post. Last Date for receipt of application for participation in the First Level Written Quiz to concerned Postal Divisional Superintendent is 31st July 2018 . List of Postal Divisions with their contact number and specimen of application forms are attached herewith. Application received after the last date will not be entertained .